This is a great little loop that riders come back to again and again. Here’s the stage-by-stage info starting from Glencoe. Meet Tam, a member of the Carronvalley MCC club, founded in 2005. Hear why he’s such a big fan of the Kinlochleven Loop. Is Scotland the best country for biking? What makes a good motorbike stop? We asked bikers in Scotland for their opinions, views and comments. 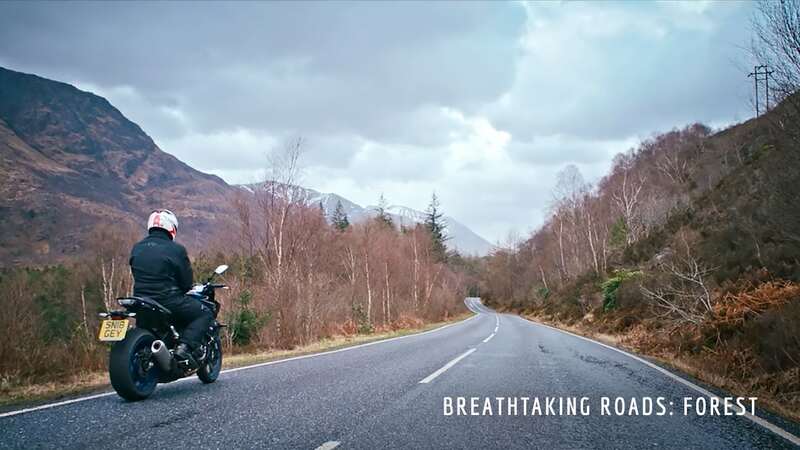 The Kinlochleven Loop, West Coast of the Scottish Highlands, boasts glorious scenery and a whole load of beautiful bends, which come thick and fast. Not one for the faint-hearted, this loop has been compared with a rollercoaster – rumour has it that there are over 100 corners in just a few miles. The traffic is light and the road surface is in good nick, making it one not to be missed.